WHAT VEHICLE DO YOU USE AND ARE BEST COTSWOLD TOURS FULLY LICENSED? I and my Mercedes Viano (Maurice) are fully licensed by Cotswold District Council, and the vehicle is fully insured to carry upto 7 passengers. How many passengers can you take on a tour? The minimum number is 1 (! ), and the maximum is 7. Do you have set tours, or can we design our own tour? Each tour is tailor-made to your requirements, just let me know what you want or I can design it for you. Do you take families and children? Families and Children are always welcome. There are plenty of attractions for children young and old. A deposit of £100 will be taken at the time of booking, to secure the booking. The full balance is due 5 days prior to the tour. Sometimes,unfortunately, cancellations have to be made so a full refund will be given. The £100 deposit is refundable upto 7 days before the tour. No one. All personal details such as email address, bank details and phone numbers will be taken in the strictest confidence and will NOT be passed onto any third party. These details will be deleted from files, and will not be kept, three months after the tour. How can we pay for a Tour? How do we arrive in the Cotswolds? There is a very good regular train network to the Cotswolds from London/Oxford to Kingham. Also there is an excellent service to Cheltenham Spa, or to and from Kemble. Mark will collect you and return you to any of these stations. There are lots of facilities in most villages and towns. We can easily make a detour. There will always be lots of change for "Pay Facilities". Can We take a two or three day tour? Of course. There is so much to see in the Cotswolds. 2 or 3 days touring would be interesting, exciting, and fascinating. There would be no repetition of attractions. My mother is in a wheelchair and would like to take a Cotswold Tour. Can you help us? Of course We can!. There is plenty of space in the back of the vehicle for a folding wheelchair, and with the aid of a step there is easy access through the large sliding doors. The middle row of seats could also be removed to allow easy access for a wheelchair.This would of course reduce the number of passengers to 4 plus your mother. We could then tailormake a special tour for your mother, so that she could see the attractions that she would like to see. 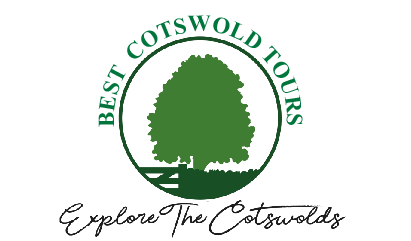 Why should we choose Best Cotswold Tours? I was born in the Cotswolds, and have lived and farmed in the area for many years. I have a vast in depth knowledge of the area. I can show you areas of the Cotswolds that few people know about, and have a vast knowledge of everyday Cotswold Life. I love meeting and chatting to people. Lunch will be taken in one of the many and varied Pubs or Cafes. There are many small independent tea shops, cafes, and village tea rooms in most Cotswold villages.